Now is the time for porcini mushrooms in our area. 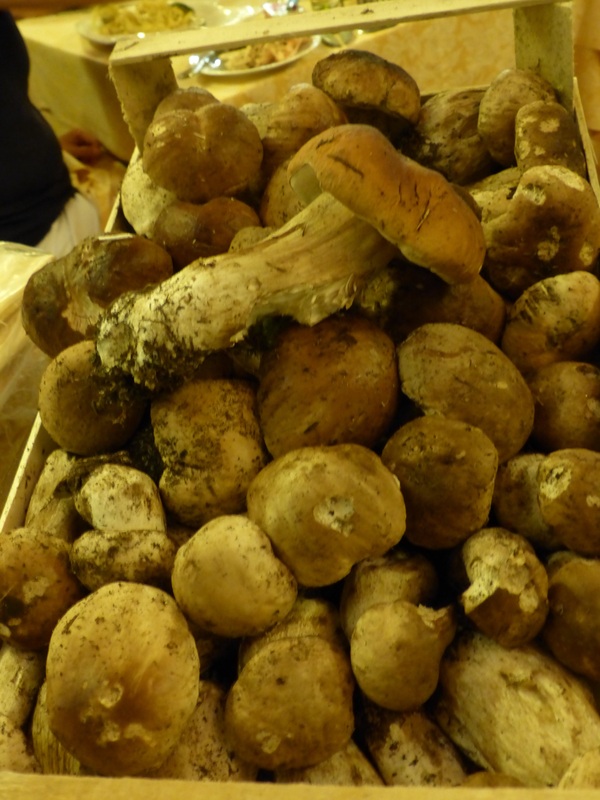 It has been very dry, not good for mushrooms, but some have been gathered in Garfagnana and have appeared at Ristorante Del Sonno in La Villa. 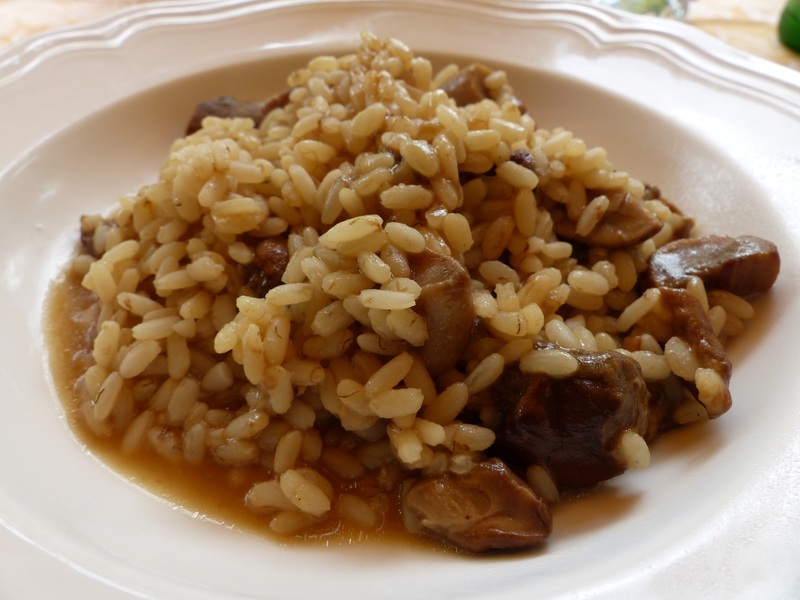 …just perfect for a delicious mushroom risotto. The recent rain should have more growing in the forests…we wait patiently or impatiently as the case may be. Don’t miss the Pinocchio festival in La Villa this weekend…it is always a lot of fun. 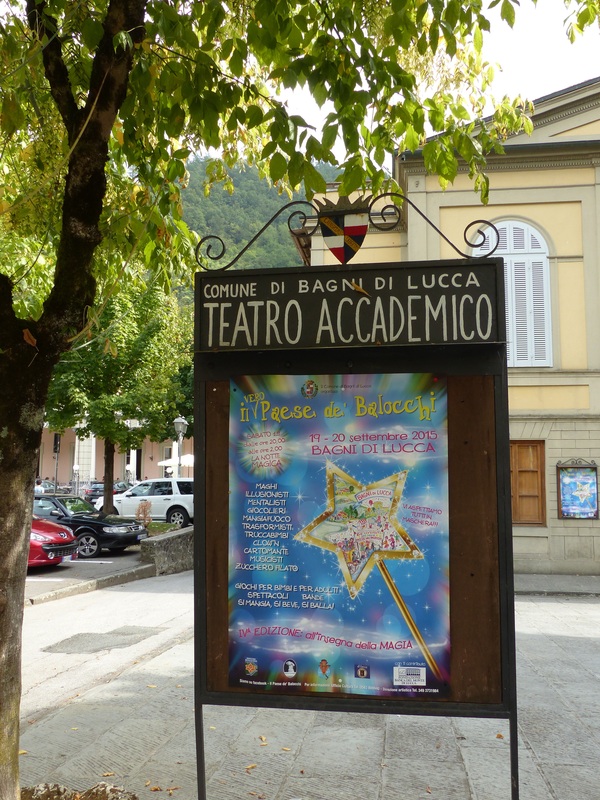 This entry was posted in Eating in Bagni di Lucca, seasons, Things to see and do and tagged Bagni di Lucca, Del Sonno, food, Italy, local festivals, porcini mushrooms, travel by Debra Kolkka. Bookmark the permalink. 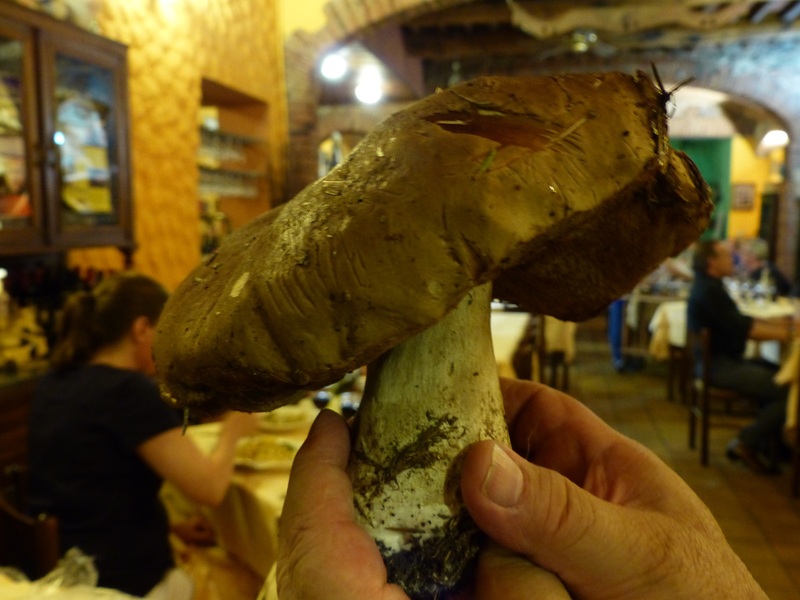 Ilario is not happy about local mushrooms this year so far. No, it has been poor for mushrooms, but this rain will definitely help. I hope you get some soon. It has been damp, warm and steamy…good for mushrooms. I had purchased the porcini sauce from Italy and I made pasta with a little bit of cream and basil and porcini on my birthday which was on 11th 🙂 It was wonderful! Happy birthday for the 11th. Porcini pasta would be a good way to celebrate. Thanks Debra. Yes absolutely. My parents and brother also loved it! I just love Porcini mushrooms just bought some brown ones to cook with porcini dado not quite the same but will do and add nepitella catmint! Nepitella is good with mushrooms.